The summer, this year, has been excruciatingly hot. The sun shines all day long, and the heat wave makes the conditions worse. In the last post, I shared how almost all of my plants have been badly affected by the scorching summer. There has been a rain on a few days, which has worsened the conditions even further. 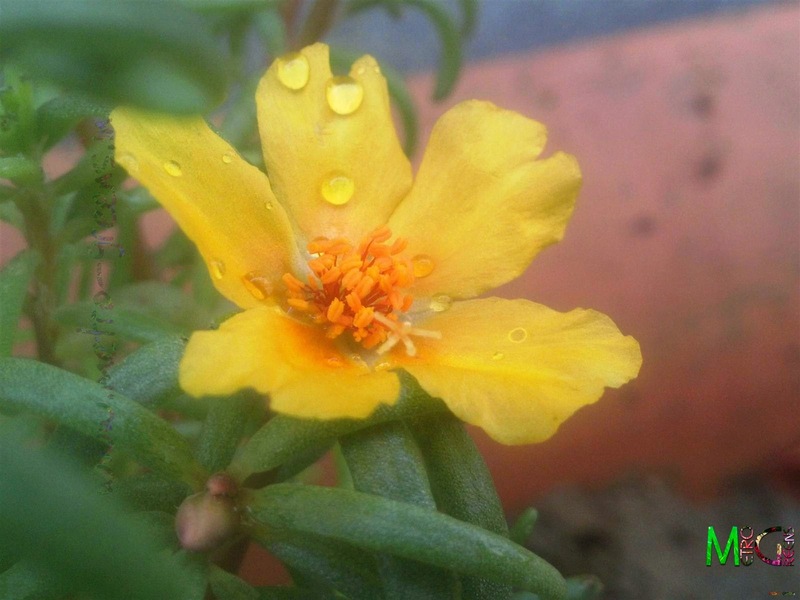 In my last visit to the nursery, I bought some portulacas, a variety, I haven't had before. This one, a single blooming variety. The best thing about this variety is that it has a lot of colours, much more than a double blooming varieties, I had before. I still have one double blooming variety, a pink one, the other two, somehow died. 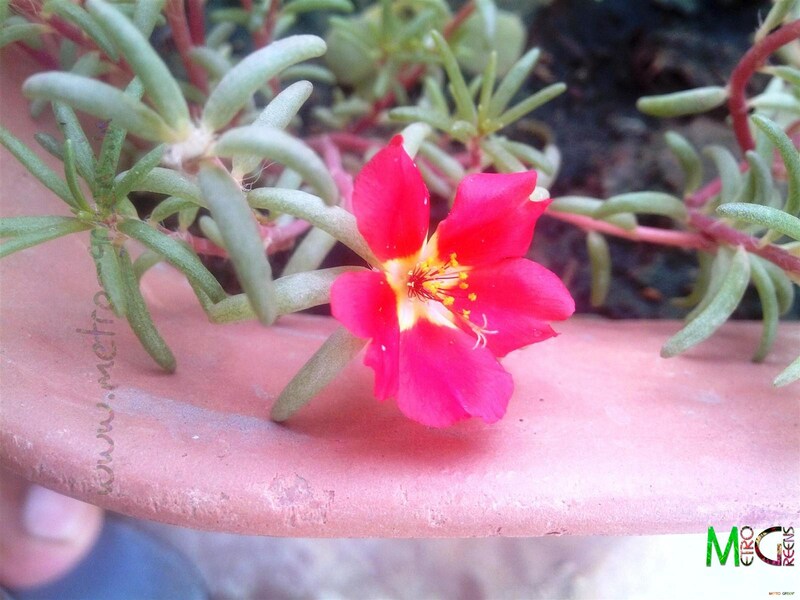 Summers are the time for portulacas to bloom. 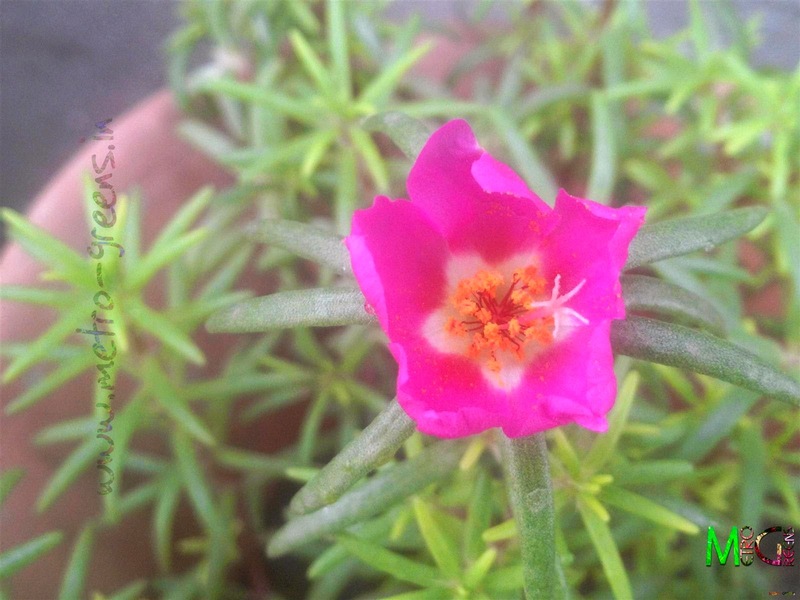 Portulacas, are plants, that are hardy enough to live on without any special care, just plant them in a pot, or anywhere suitable, and water them regularly, and you can expect some stunning blooms, that too, at a time, when virtually no other plant blooms. 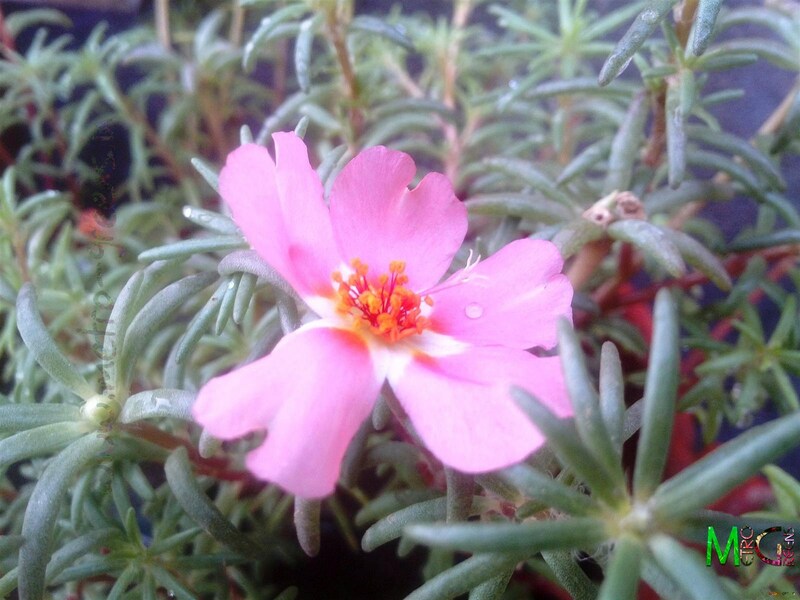 Portulacas are especially stunningly decorative plants, and because of their hardiness, these plants are very suitable to be planted in pots, window sills and balconies too. The creeper like stems, and showy flowers look good. I am sharing some blooms with you all. Spreading happiness is good, and these lovely blooms, surely make one happy. 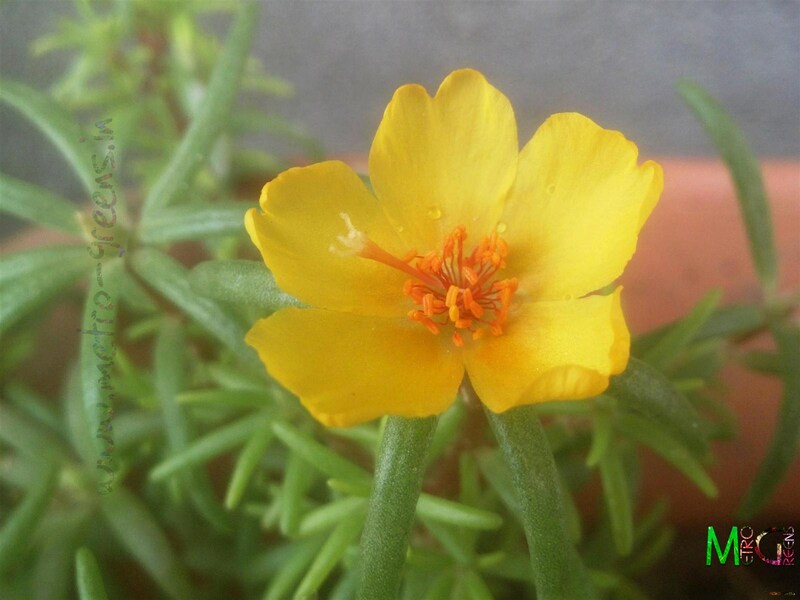 A peach coloured portulaca bloom. 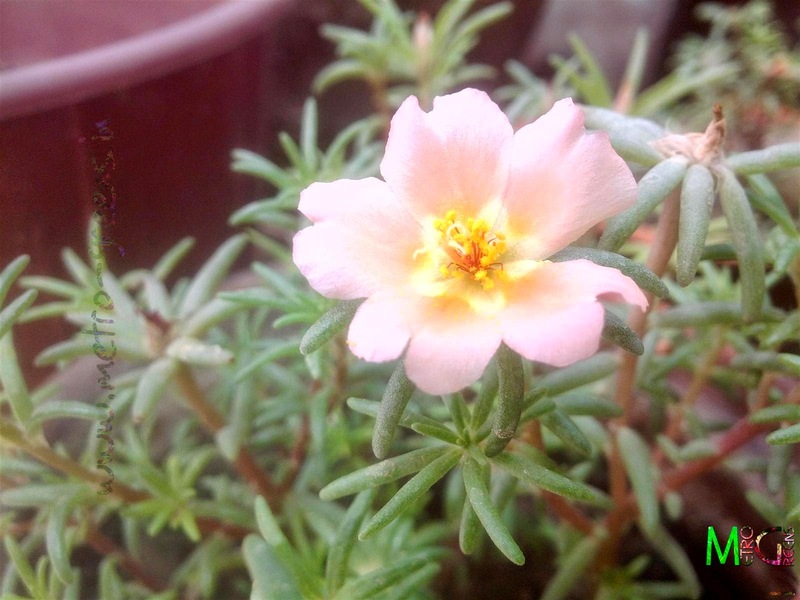 A light pink portulaca bloom. 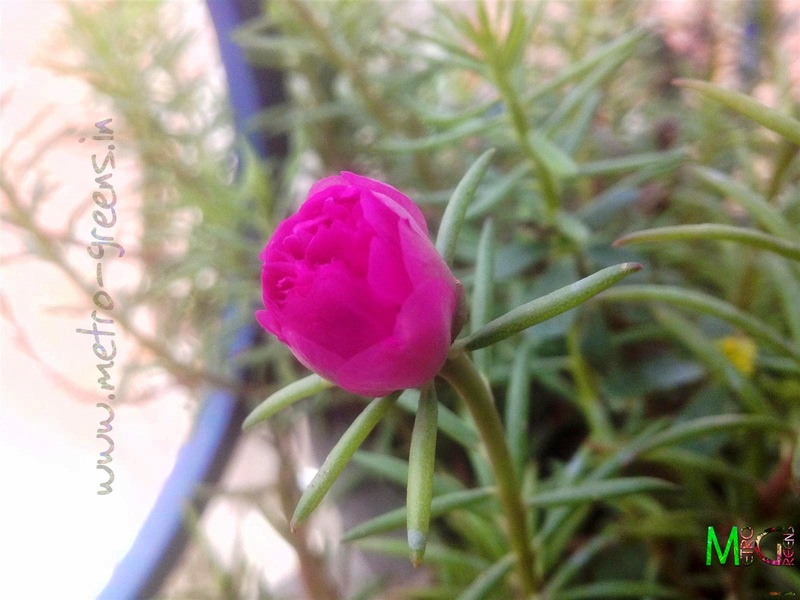 A pink portulaca (double variety) bud. These single blooming varieties have a variety in terms of colour, but, personally, to me, these aren't as appealing as the double blooming variety. Maybe, the number of petals make the blooms make all the difference, but, I also like the number of colours these single blooming variety brings. So, to anyone thinking of planting portulacas, I'll suggest planting both the varieties. 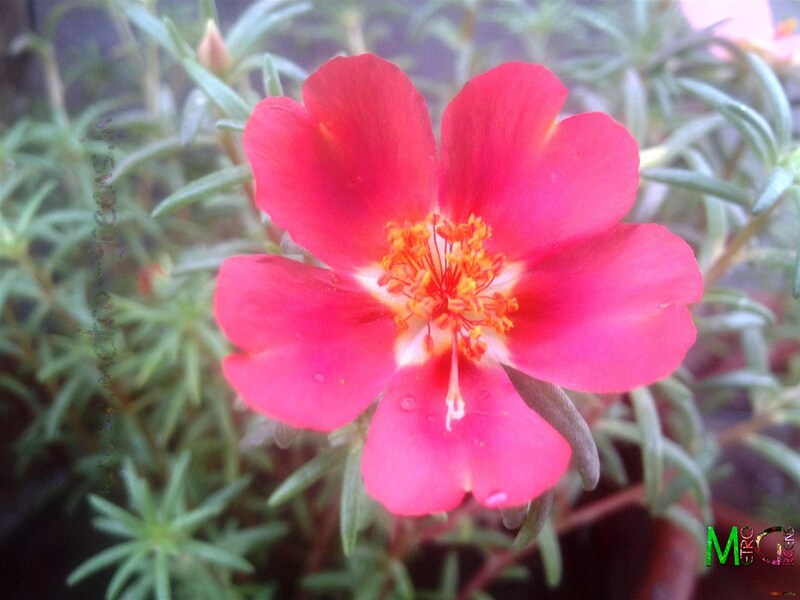 But, portulacas are a must for any garden, home, if you want some colours in your home. 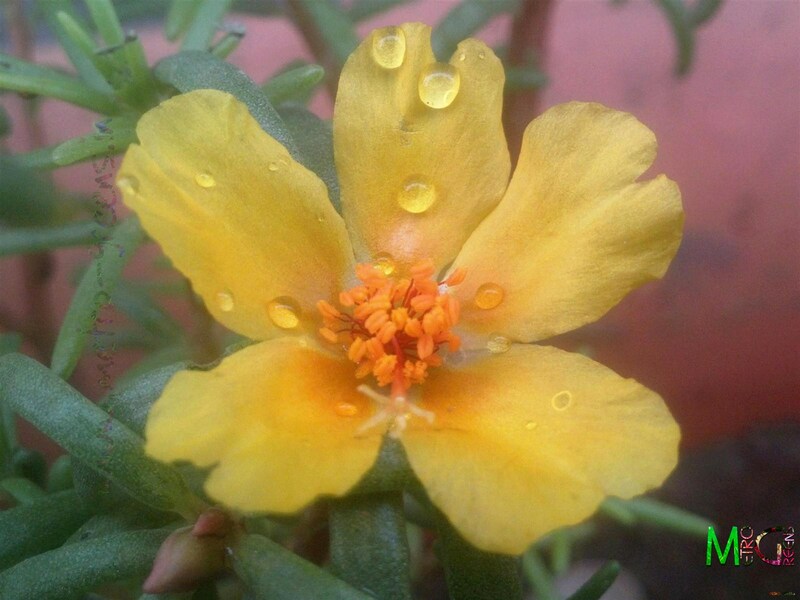 With the monsoon nearing, time to get new plants is nearing. Maybe, I can share some new plants in the coming weeks. Not to mention, the new lily bulbs have got some leaves. Next week, I'll be back with some new updates from my gardening adventures. Till then keep trying and HAPPY GARDENING! 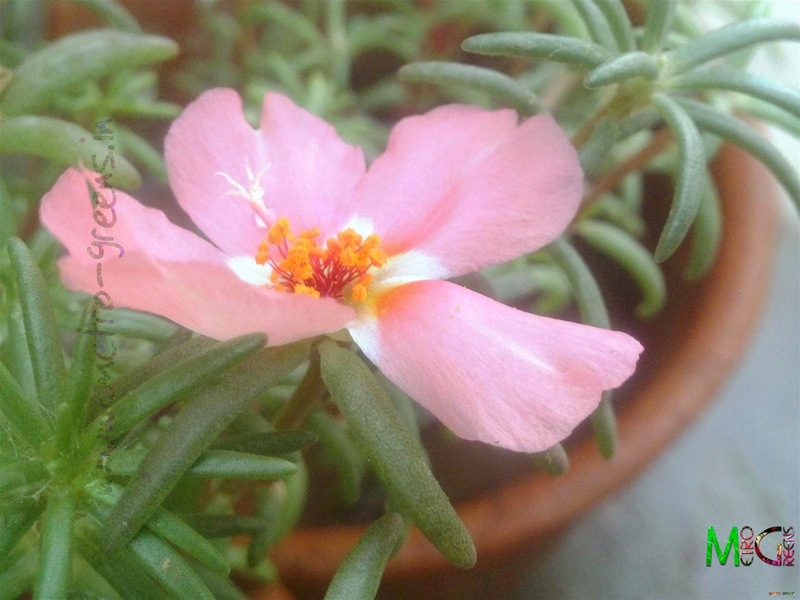 I had the pink portulaca and it died last week. This cannot be because of heat as it is not hot in Bangalore anymore. 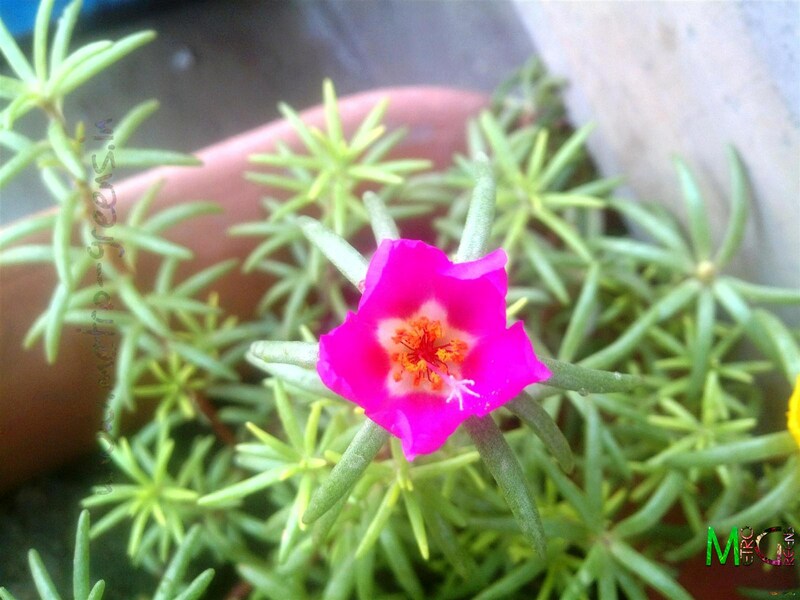 I did make sure to water it once in 2-3 days, and there were flower bud coming too, but sadly they never bloomed. There were two pots one in shade and one in light, both are dead now. I don't' understand what could be the cause, as I know it is a plant which doesn't require must care. In my parents place I would just pluck a stick and put in ground to make a new plant, they were very easy. I just don't know what went wrong, dead plants make me very sad. 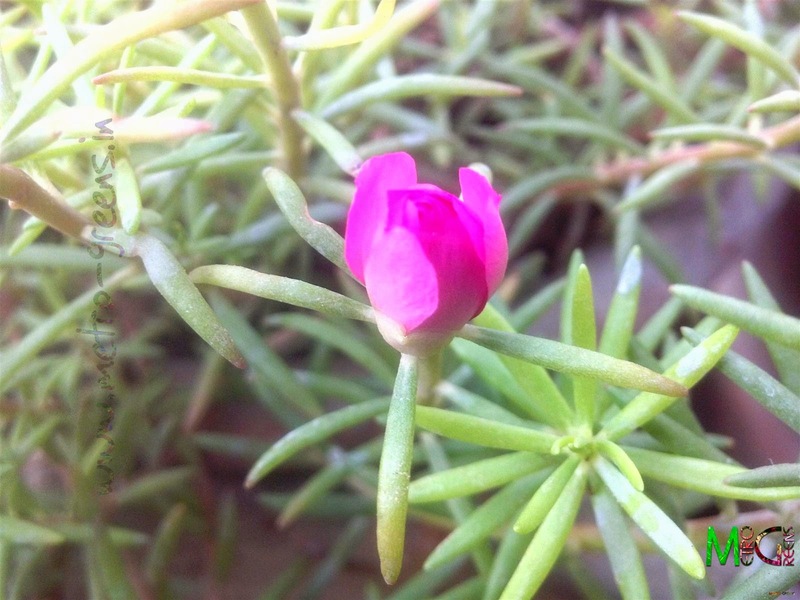 Usually portulacas are quite tolerant to their conditions, and as you rightly said, do not need much of a care. There are times when they die for quite unknown reasons. Like, I lost almost all the purtulacas (three colours of the double blooming variety). Am just left with the pink one. So, I bought new portulacas this year. Maybe, you can try recalling the soil or any other work you recently did like adding some fertilizer, or planting the portulacas in soil with fresh organic stuff like vegetable peels and such. Most often we end up doing more damage thinking the vegetable peel will enrich the soil, ignoring the fact that it will do more damage in a pot.